I wish to clarify that I am not now, nor have I ever been, an exotic dancer. I work at Home Depot and I told Sarah how hectic it was last week before the blizzard hit. I told her we sold out every single shovel we had. Then I found one more in the back room, and several people were fighting over who would get it. 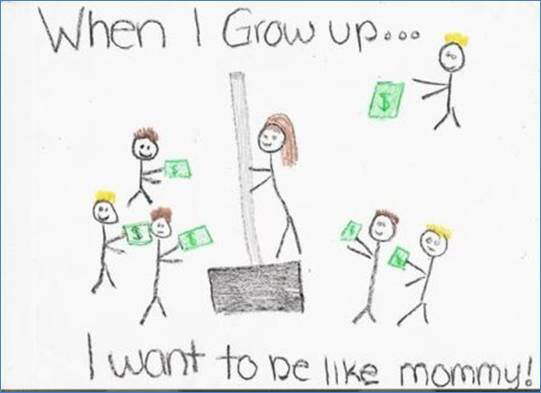 Sarah's picture does NOT show me dancing around a pole. It's supposed t ! o depict me selling the last snow shovel we had at Home Depot. From now on I will remember to check her homework more thoroughly before she turns it in.